The “Scratch-Off to Win – The Sooner you Scratch the More you Save” campaign is an innovative and unprecedented multi-channel campaign that brings fun and enthusiasm back to the physical mailbox. It contains engagement with the mail piece at all levels, using the Informed Delivery feature as an integral part of the messaging. The campaign combines innovation, technology, custom and advanced printing features, and personalization resulting in a digital and physical mail experience that utilized time and a sense of urgency to entice the mail recipient to check their mailbox. 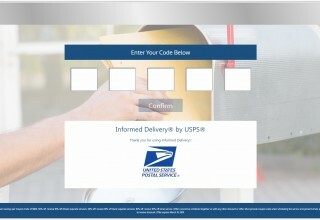 Upon receiving their mail piece, the consumer is rewarded with a tactile “Scratch-Off” experience that cannot be replaced by the Inbox experience alone. The Scratch-Off to Win campaign resulted in the consumer having an unprecedented “Inbox to Mailbox” experience. As a finalist, AccuZIP will again compete to be crowned Grand Champion at the 2019 National Postal Forum in Indianapolis, Indiana. 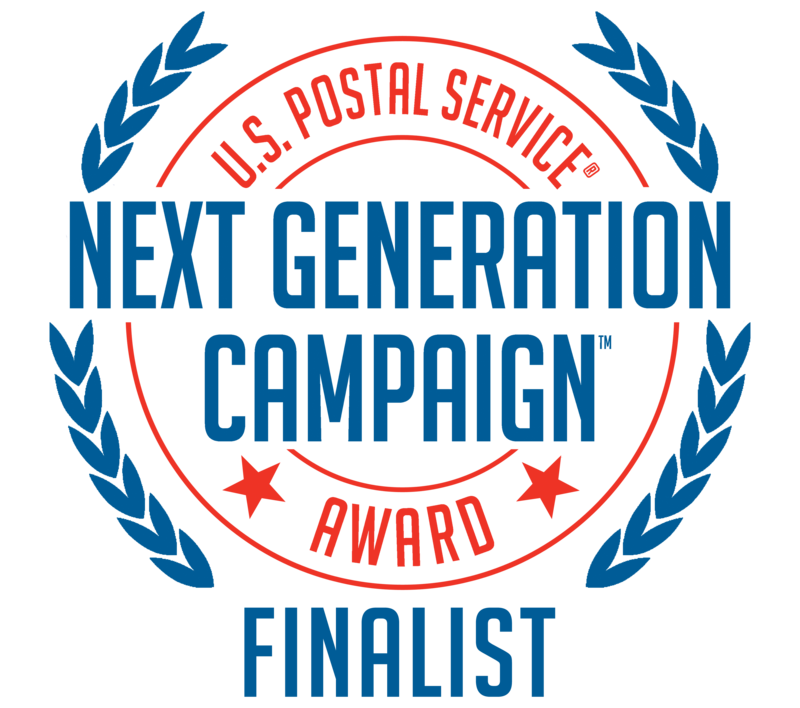 The Grand Champion will be selected by a vote of attendees at the National Postal Forum (NPF). AccuZIP has also won the right to speak at a session at the NPF to discuss the campaign and results. AccuZIP President Kristen McKiernan will be on site at the National Postal Forum in Indianapolis to accept the Finalist Award and speak on AccuZIP’s campaign-creation process, marketing objectives and results. AccuZIP Inc. will also be exhibiting at NPF at Booth #502. "I am honored to have received the nomination as a finalist for this prestigious award two years in a row. We were crowned Grand Champion last year, so being named a finalist again this year and again earning the opportunity to compete for the crown of Grand Champion in 2019 is thrilling. This award recognizes B2C campaigns that include innovative and effective mail piece designs that include interactive digital content. 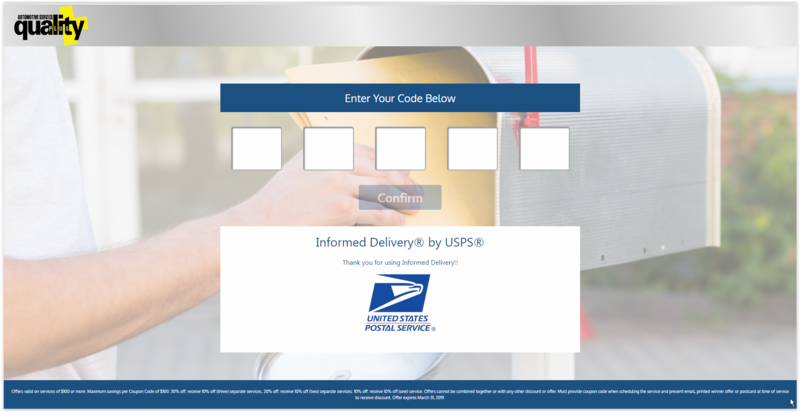 With this year's entry, we took it up a notch and hit on every cylinder of the mailing process for a complete mail experience that is unmatched to anything done before. 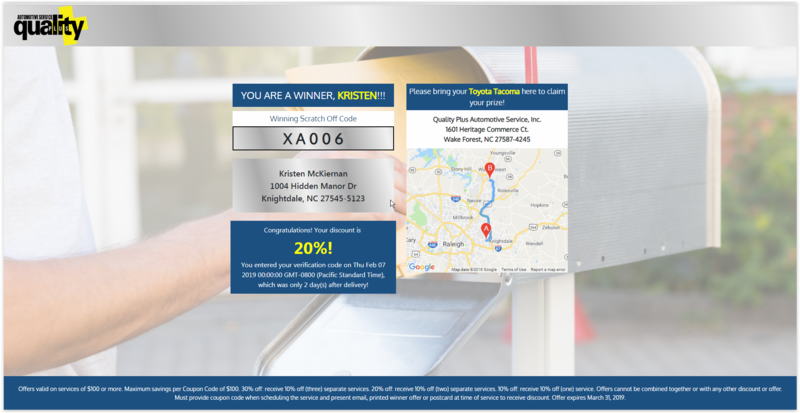 "The Scratch-Off to Win concept parallels AccuZIP's belief that multi-channel marketing using physical mail pieces as the driving component to all other channels is imperative to the future success of the direct mail industry and United States Post Office. 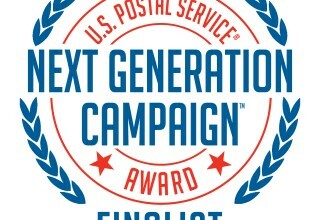 I am excited to share the innovative concepts our team came up with when creating this recognized campaign and to showcase our entry at the National Postal Forum and share this truly multi-dimensional mail experience with the world," said Kristen McKiernan, president, AccuZIP Inc. The USPS is distributing a book to showcase excellence in Informed Delivery® that will be distributed to thousands of industry executives. 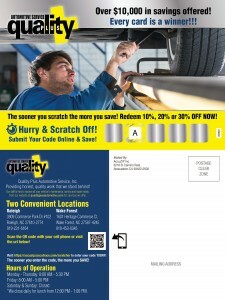 The book will showcase a copy of AccuZIP’s selected mail piece. Read the attached Creative Brief for an overview of AccuZIP's submission. 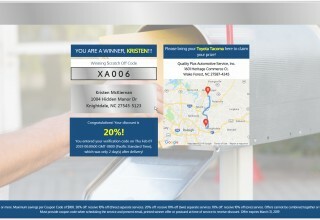 AccuZIP also provided a Supplementary Scratch-Off to Win Contest Promotional Video emulating the real-life "mail experience" of this campaign. AccuZIP Inc., a national software company, provides feature-rich solutions to manage Contact Data Quality, Address Hygiene, USPS Postal Presorting and Compliance and Mail Tracking and Reporting. AccuZIP’s solutions are designed to be utilized across many industry verticals to streamline, standardize and simplify processes associated with data entry, data management and multi-channel communications. AccuZIP’s products and services make it easier for businesses to get their message out to the right people at the right location when they need to most. In business for over 27 years, the company has built an outstanding reputation for value, service and innovation. 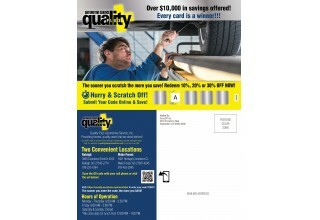 AccuZIP simplifies direct mail and data quality processes. This is accomplished by innovative products, responsive service, reliable updates, efficient software, long-range vision and commitment to loyal customer partnerships. Our Technology. Your Success. 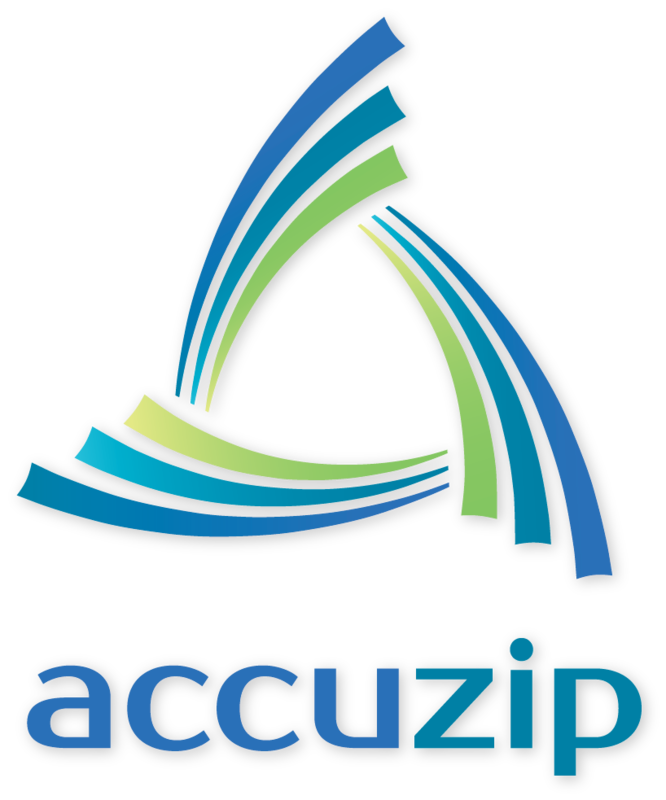 For more information, visit www.accuzip.com.